← Housekeeping tips: Cleaning wonders you can do just in 15 min! 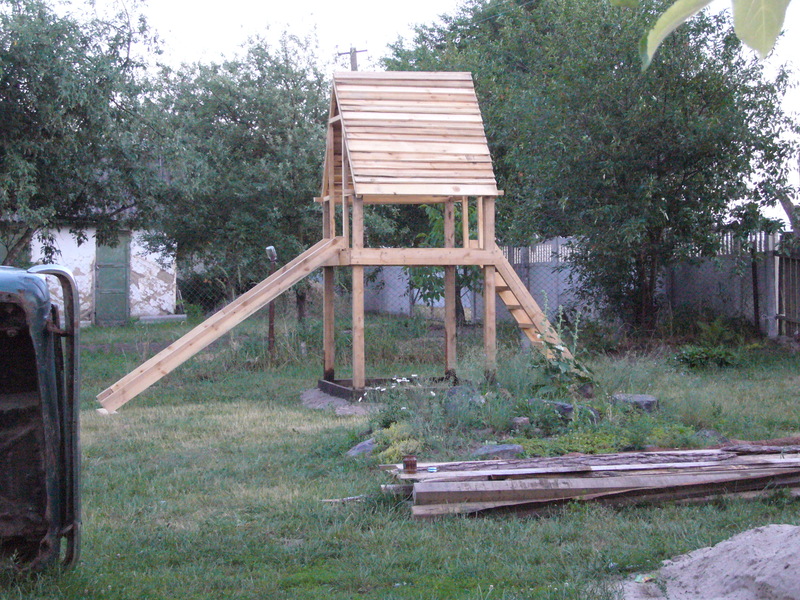 This is one of my husband’s wood DIY projects: a playhouse with a slide. It did save us lots of money and it has given our kids lots of fun to play with it. 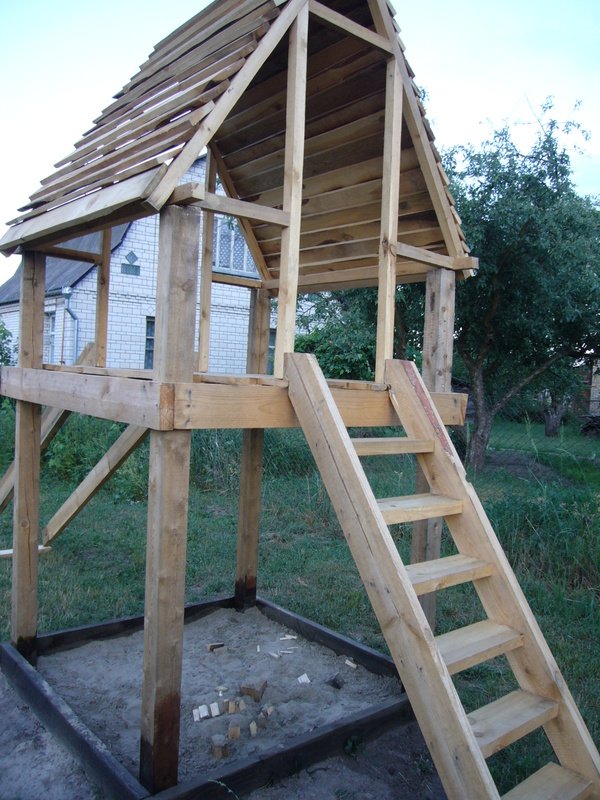 Here is this wooden playhouse with a slide, two swings and sandpit. You may see only one swing on the right, but there is a tire swing next to it there. As you may see, the sandpit is below the house, so kids can play there during sunny and hot hours or when it rains. The playhouse is made of wood and the slide is made of zinc coated iron. 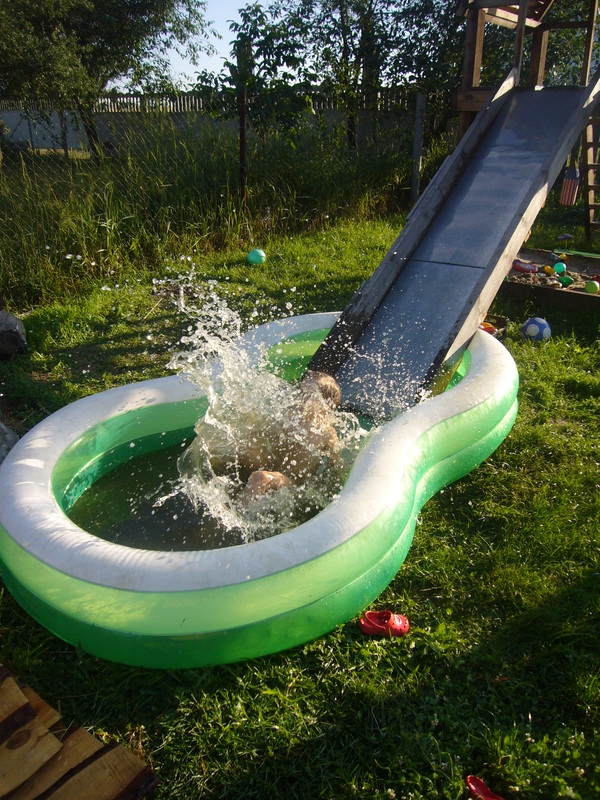 We have placed a PVC pool underneath the slide. Poured the water in and got our mini aqua park at home with this wooden playhouse with a slide. Here we have some grand splashes in the pool! This DIY wooden playhouse project has save us lots of money, too. If we were to buy it ready made, we had to pay around $ 3 – 5 000! For the DIY project my husband had to buy some wood and iron, sand and nails, etc. But, roughly estimated, this DIY playhouse cost amount to less than $1 000. So, that’s a lot of money saved. And, we have all the ‘white envy’ of our neighbours. They all really love this playhouse. When we have a church home group meeting, they love to have it over at our house, because we can let kids run and play and they let us pray and fellowship. This entry was posted in Uncategorized and tagged back yard, children, DIY, DIY project, DIY project: wood playhouse with slide, do it yourself, fun summer back yard projects, handmade, kids, play house, playhouse how to, playhouse with slide, slide and pool, swings, upcycling, wood DIY, wood DIY project. Bookmark the permalink. That is a really good one, I am sure the kids enjoy it!